Hard work and honesty. A simple concept that has mostly fallen by the wayside, it is refreshing to find out it still exists. In Fort Collins, attorney Eric A. Sunness has been working hard for his clients since 1993, focusing his efforts on the practice areas of DUI/DWAI and criminal defense. The size of a firm or the number of lawyers on the payroll has nothing to do with the quality of legal outcomes, but a large firm often comes at a high price. Eric A. Sunness is able to deliver big results for an affordable price while focusing on providing each client with the personal attention they deserve. Supported by an experienced, professional staff, he has the skills, knowledge and resources to protect the rights of his clients. 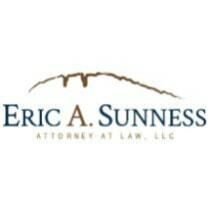 Mr. Sunness is the hardworking, honest attorney you need on your side as you seek to put an end to your legal issues. Contact him today for a free consultation. He returns calls in a timely manner and is available 24 hours a day, seven days a week for inquiries.